Today’s Supreme Court ruling is the most significant judicial intervention in the history of British employment law. This result is a massive win for our union and a massive win for all workers, whether they’re UNISON members or not. Working people who need protection the most – low-paid workers, the vulnerable and those treated poorly by their employers – were denied access to justice by employment tribunal fees. The government infringed EU law, constitutional law and even the Magna Carta with a piece of legislation explicitly designed to deny working people their rights. Today, the Supreme Court has righted a terrible wrong and sided with those the government sought to silence. This ruling shows that rights are only meaningful if they can be upheld – that’s a principle with significant implications for all of our rights and protections as we head towards Brexit. This result has been a long time coming and has involved years of hard work. Our challenge to the then coalition government – including the Liberal Democrats and their so-called progressive values – was of course legal. It was also a moral struggle – one of those moments where something is so clearly and blatantly unjust that it is imperative to challenge it by any means possible. 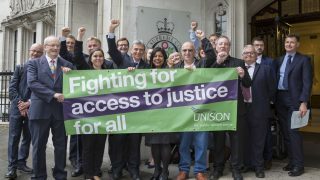 The government’s attacks on public service employees as a result of austerity had already hit UNISON members hard in terms of pay, jobs and services – to then turn on their right to legal recourse was the final straw. I knew as soon as the legislation was introduced that our union had to take a stand, especially when it had such a clear and direct discriminatory impact upon our million women members. Back then I promised UNISON members at our conference that we’d take this fight to the highest court in the land to fight for their rights. Today we can say that we did that, we fought, and we won. I made a promise to our union that whatever it took – however many years and whatever the cost – I wanted our union to take this case. This was more than a legal case – it was a moral case. Doing so has been a hard slog and a huge financial investment for UNISON, but it has been worth every penny. I am so proud of our union – and in particular of our union’s legal team, who have worked tirelessly to achieve this incredible result. Their skill and dedication has once again secured a huge win for working people everywhere. Of course, as well as being a day of celebration, today is also a time for reflection. We will never know just how many people were stopped from taking legal cases as a result of employment tribunal fees. We will never know how many people have been denied access to justice and to legal recourse. Their stories may remain untold and their rights unprotected. Likewise, there are those who have been forced to pay employment tribunal fees who will now demand those fees are returned to them. We will work with them to ensure the government cough up and admit they were wrong – legally and morally. 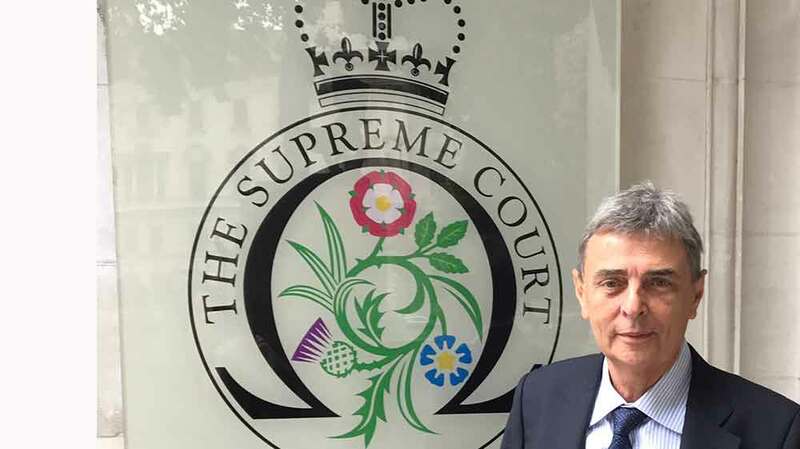 Today’s result should bring to an end the cruel employment tribunal fees regime, and ensure that no-one else is ever forced to pay crippling fees just to access basic justice. But it is also a reminder of the importance of trade unions in fighting for all of our rights, and the importance of a legal system that allows us to stand with our members, and win for our members.